Bob Kneip started his own business 25 years ago. From a simple agency specializing in the production of annual reports, it has made it one of the international players of reference in the field of communication in the industry of investment funds. When a company bears the name of its founder and achieves great success on an international level it is impossible to dissociate the success of one from the importance of the other. Bob Kneip created his own company specialising in communicating legal notices and producing financial and legal reports in 1993, at the age of 31. 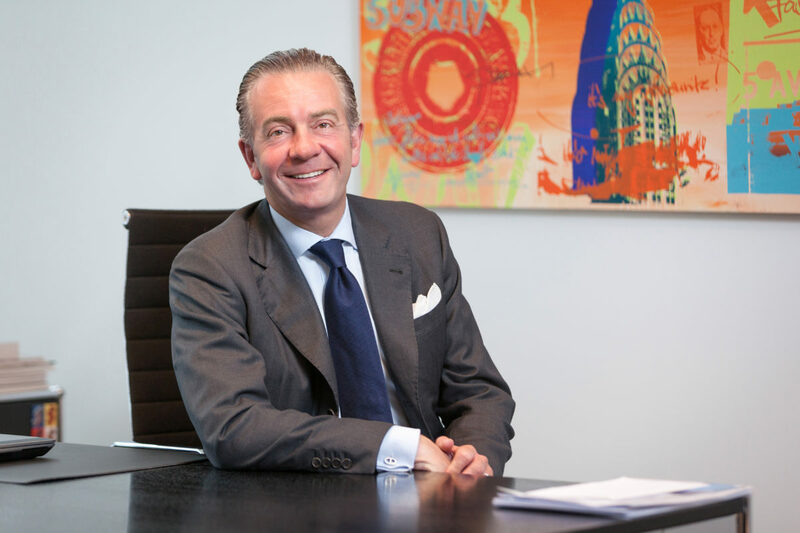 He was already familiar with the world of entrepreneurship; in fact, it was he that launched the meal voucher system in Luxembourg on behalf of the Sodexo group a few years earlier. KNEIP quickly expanded its range of services to include the production of annual and biannual reports in a dozen or so different languages and even the production of presentation materials. But the increased use of office automation software such as Powerpoint by the late 1990s had a significant impact on its turnover (around 40%), although this drop in revenue was fortunately offset by the strong development of the company’s other fields of activity. The company then chose to specialise exclusively in investment fund services and notably the legal obligation to publish net asset values (NAVs) in newspapers. The company’s customer base very quickly took on an international dimension, with funds coming from 15 different countries of domicile and information circulated in 40 countries in the space of just a few months. The company even opened its first foreign office in Switzerland in 1998. KNEIP Communication’s development attracted a great deal of interest and in 2007, investment fund 3i Growth Capital acquired a significant share in its capital (43%), injecting some 37 million euros in supporting its growth both in terms of the services offered and geographically. Other foreign offices were consequently opened in London and Paris in 2009, Frankfurt in 2010 and later in Brussels. The management of these offices has since been largely transferred back to Luxembourg thanks to the implementation of an advanced digitalisation policy. The company also started to achieve dizzying levels of external growth in 2009 with the successive acquisitions of Lombard Fund Services (specialising in fund publication), La Cote Bleue (a press agency specialising in stock market information), Akiraweb (a Luxembourgish web agency) and a year later PatrimoineTV (the first video supplier dedicated to the financial sphere) and Co-Link (specialising in financial report management services and technologies for investment funds). 2010 also saw KNEIP regain its independence when it bought back 3i’s stake. The new legislative and regulatory provisions in the fund market (UCITS IV, AIFM, etc.) provided the company with plenty of opportunity to extend its influence even further whilst at the same time pursuing its organic growth, including through the close partnership it established with leading fund information network AssetLogic, for example. In early 2017, Bob Kneip announced that he was stepping down from the position of CEO that he had occupied for the past 24 years, quietly handing over the role to Lee Godfrey, who had joined the company as Deputy CEO in 2008 and was already responsible for the Sales, ICT and Operations divisions. 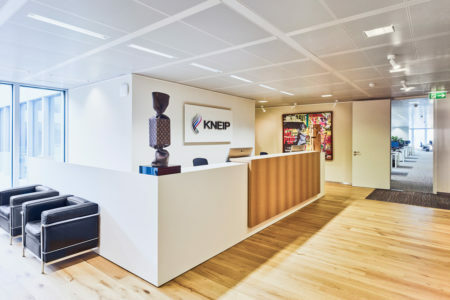 Kneip was quite happy to hand over control of a company that had become of the world’s leading players in its field. With clients operating in over 50 countries across all continents, KNEIP produces reports for over 10,000 funds every year and publishes over 270,000 NAVs a day. The company also manages some 3.2 million of dynamic data and 1.7 million pieces of statistical data a month for over 12,500 funds. Its customer portfolio consists of over 420 global fund companies, including 42 of the 50 largest cross-border management groups. Having become Chairman of the Board of Directors, Bob Kneip is now focusing on developing his company’s Accelerator division – an entity devoted specifically to the implementation of digital transformation strategies for investment fund players.